The dolphins are showing a "chronic level of stress." Dolphins off the Hawaii coast might get a little more peace and quiet if the Obama administration's new proposal to put up a 50-yard barrier to keep curious tourists away passes. On Tuesday, the National Marine Fisheries Service (NMFS) proposed the plan to protect Hawaiian spinner dolphins. 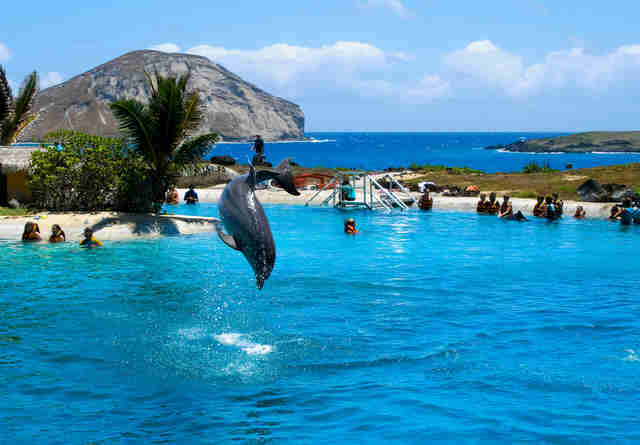 "The number of commercial operators engaged in wild dolphin viewing has grown dramatically in Hawaii in recent years, putting new pressures on easily accessible groups of resting Hawaiian spinner dolphins," the agency wrote. Spinner dolphins are not endangered, but these nocturnal animals are considered very friendly and social, often mingling in schools of hundreds or even thousands, and intermingling with other kinds of dolphins. 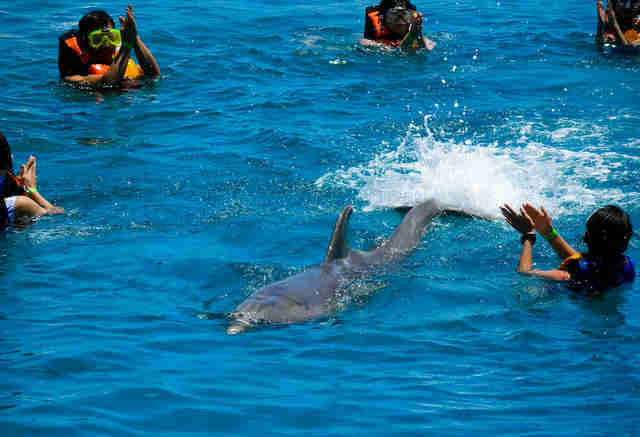 Swimming with dolphins has come under fire in recent years, as new revelations about the poor mental and physical health of captive dolphins at popular tourist destinations have put a damper on the attractions. But even getting too close to wild dolphins for commercial operations can harm the animals, which is why feeding, attempting to feed and harassing marine mammals in the wild is prohibited under the Marine Mammal Protection Act. 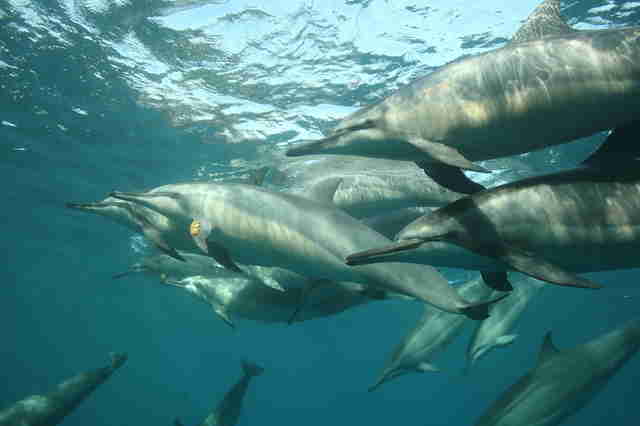 The dolphins can lose their natural wariness, causing them to trust people and boats that could harm them. They might end up swimming up too close to fishing operations, where they can get tangled in nets. They can grow dependent on people for food and stop foraging on their own for meals. It generally changes their natural behaviors, which could impact their normal migration patterns. Specifically, the spinner dolphins around Hawaii are showing signs of exhaustion as groups of tourists frequently approach their pods, disrupting their daytime rest. "All of these things can contribute to a reduction of fitness over time - this kind of chronic level of stress. That's what we're concerned about," Ann Garrett, assistant regional administrator of the NMFS's protected resources division for the Pacific Islands, told the Associated Press. You can still view dolphins in the wild, but it's better for everyone if you keep your distance - at least 150 feet, according to the NOAA. You can have your say about the proposal to build the barrier between tourists and wild dolphins here.